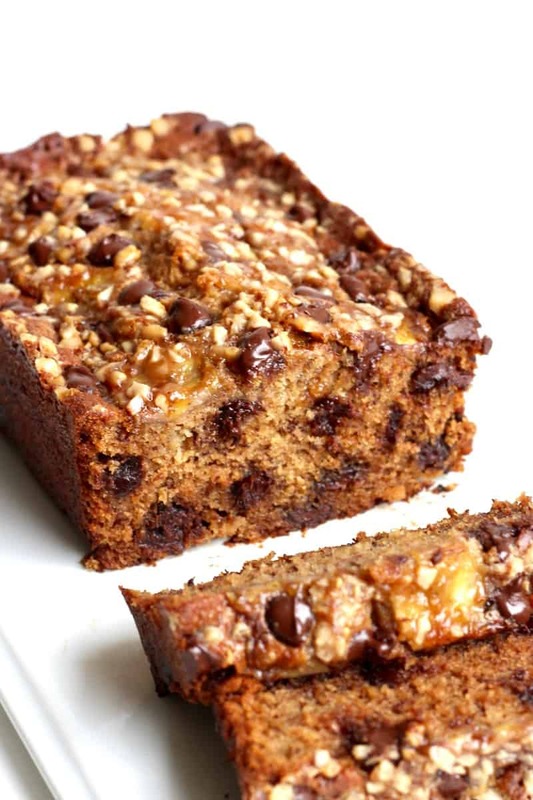 Incredibly moist and flavorful banana bread loaded with melty chocolate and toffee crunch…life-changing! 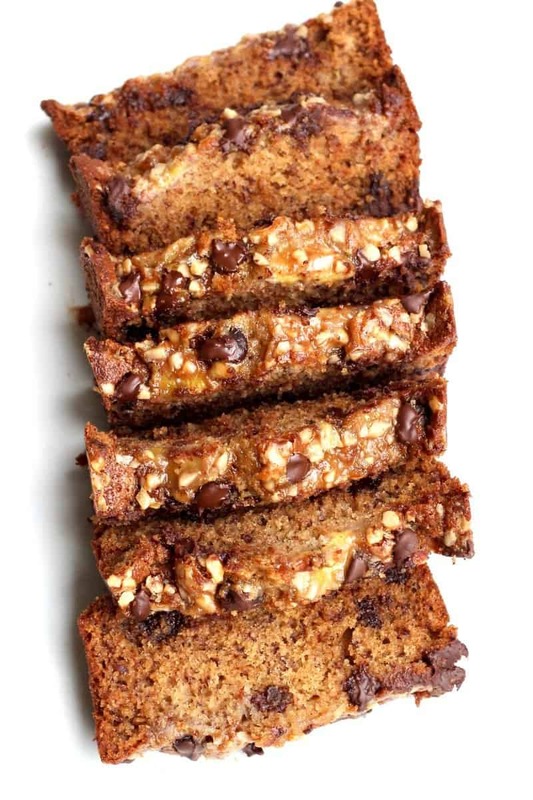 I couldn’t be more excited to share this amazing banana bread recipe and my love for Mary and her newest cookbook with y’all. Get excited, you’re in for such a treat! Mary is one of my dearest friends and blogging/motherhood mentors. She’s the real deal! Mary raises 3 growing boys (well, 4 really, if you include her hubby, haha!) and she regularly feeds them the most delicious, home-cooked meals that are quick and easy to make. Mary does this all so eagerly and involves her boys in the process as much as they want…which I love! This is Mary’s second cookbook and it has quickly become another go-to cookbook for me. When I need a great meal to make for breakfast or lunch, I know a recipe from Mary’s cookbook will make me look good. Her approachable recipes and great meal planning tips make life easier without sacrificing great taste! We’re talking fresh salads, quick soups and healthy stir-fry for lunch along with creative breakfasts like savory oatmeal, crisp waffles with waffle sauce and tostado stacks with a runny egg on top. Something yummy for everyone! Her first cookbook, The Weeknight Dinner Cookbook, is also filled with simple recipes the whole family will love. We make the Mediterranean Nachos, Sweet & Spicy Salmon with Broccoli and No-Bake Chocolate Peanut Butter Bars from it quite often. 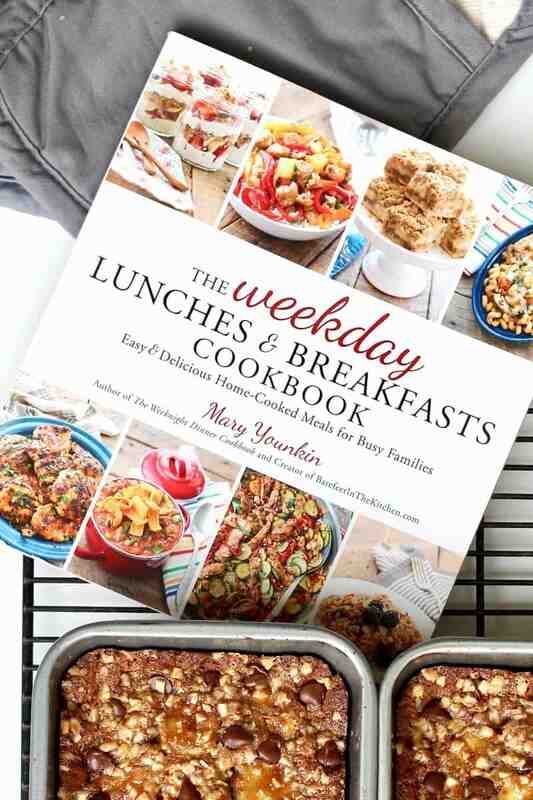 Mary’s cookbooks have come to my rescue a many a times now when I’ve been in a mealtime rut. Thank you, Mary! As I was browsing through Mary’s cookbook when it first arrived, this banana bread recipe jumped right out at me. 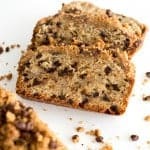 When I read the three words “Chocolate Chip Toffee” before Banana Bread, I was sold! 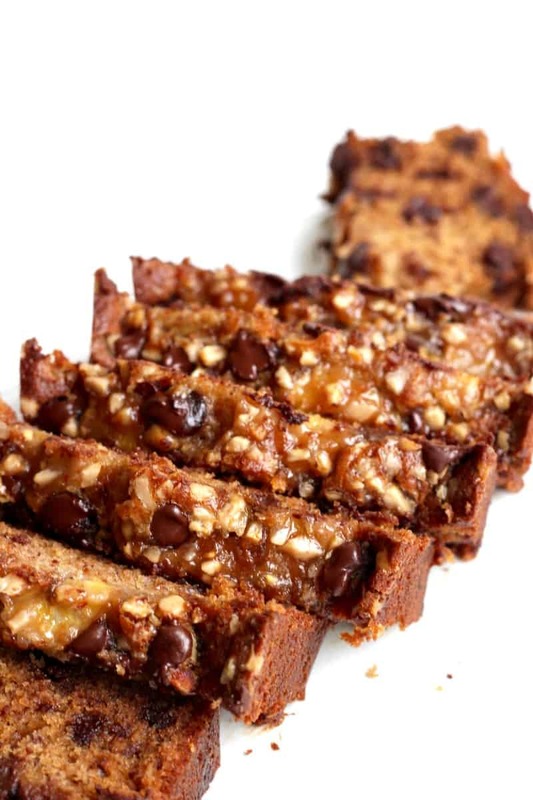 Fortunately, there were some ripe bananas on my kitchen counter begging to be baked with. I love that the recipe makes 2 loaves or 24 muffins. I’m all about baking in big batches so some can be frozen for later or enjoyed immediately with a big crowd. I baked the recipe into 2 loaves and took one of the loaves to our friends who hosted us for dinner that night. 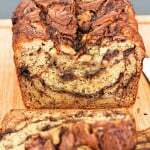 We ended up slicing into it for dessert after dinner and everyone raved about how it was some of the best banana bread they’ve ever had. Woohoo! 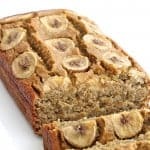 We finished off the other loaf the next morning and we’ve all been eagerly waiting for more bananas to ripen so I can bake it again and again. 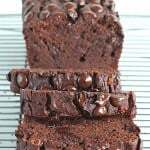 For more easy and delicious recipes like this one from Mary, check out her blog Barefeet in the Kitchen and be sure to follow her on Facebook, Instagram, Pinterest and Twitter. 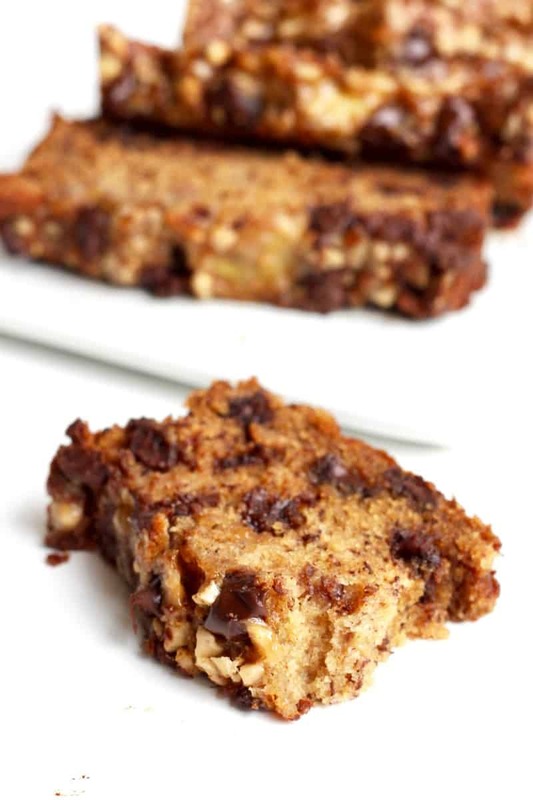 Incredibly moist and flavorful banana bread loaded with melty chocolate and toffee crunch...life-changing! Grease two 8.5 x 4.5 (21.5 x 10-cm) loaf pans very thoroughly, or line with parchment. Alternatively, line 24 muffin cups with paper liners and spray the liners very lightly with nonstick spray. In a mixing bowl, combine the butter and sugar, and beat with a mixer until smooth. Add the vanilla and eggs, and beat until smooth. In a separate bowl, whisk together the flour, baking soda, salt, cinnamon, and nutmeg. Slowly add the dry ingredients to the wet ingredients, beating just until they’re combined. Add the bananas and sour cream, and stir just until they’re combined. Stir in ¾ cup (126 g) of chocolate chips and ½ cup (120 g) of toffee chips. Pour the mixture into the prepared pans or muffin tins. Sprinkle with the reserved chocolate chip and toffee chips. 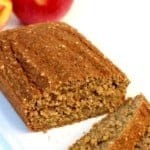 Bake the full-size loaf pans for 55 to 60 minutes and the muffins for 20 to 22 minutes, until an inserted toothpick comes out with the moist crumbs. Let the loaves cool completely before sliding a knife around the edge of the pan to loosen and then remove to a plate or wire rack. The bread will keep nicely in the freezer for 2 to 3 months. If you’re freezing muffins, simply cool and store in a zip-top bag. To freeze the loaf, I recommend cooling completely then wrapping the unsliced loaf in foil before placing in a large zip-top bag. I am so happy that you are enjoying the cookbooks and that you love this bread as much as we do! This looks so amazing! 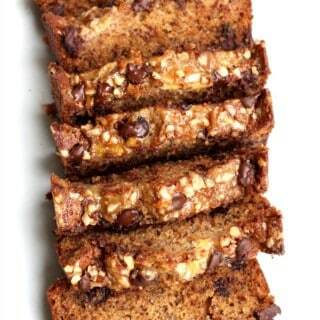 I love the idea of adding toffee into banana bread- brilliant!